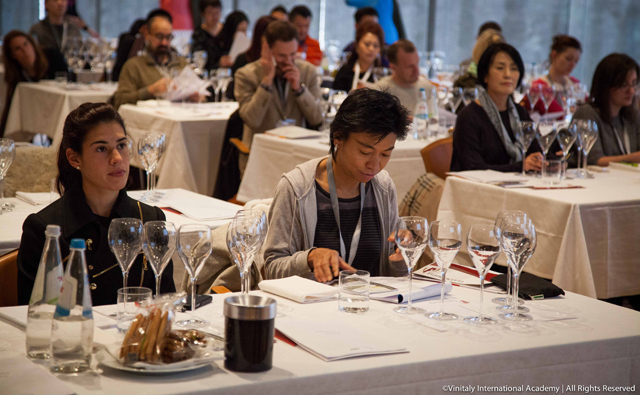 Stevie Kim, Managing Director and the face of Vinitaly International has big ambitions, one of which is to identify wine professionals around the world to spread the gospel of Italian wine. In 2014, Stevie took a step towards realising that dream. Together with Dr Ian D’Agata, a renowned Italian wine expert, she founded Vinitaly International Academy (VIA). 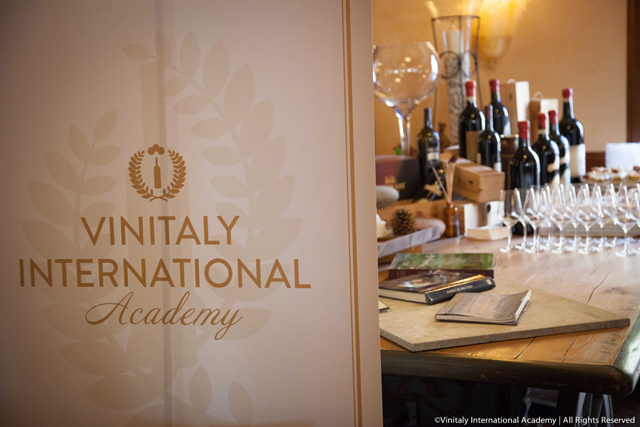 After one year of promotion and recruitment, the first VIA Certificate Course was conducted in March 2015, just before Vinitaly 2015. By the beginning of the year, about 50 candidates had already signed up. 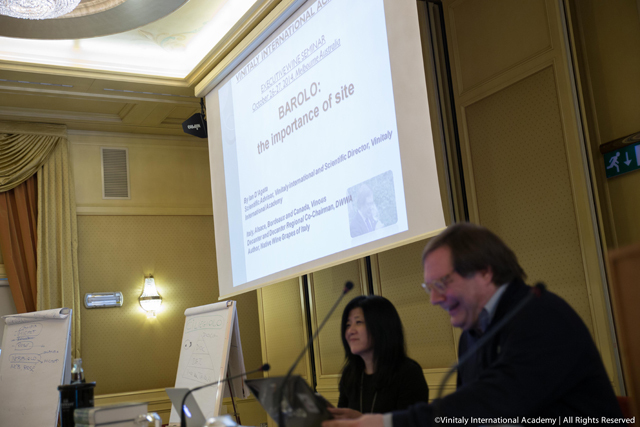 The objective of the course, according to VIA website, is to enable those who love Italian wine to speak of it in a unified and organised manner with truly in-depth knowledge. It is a 5-day residential programme after which students have to sit a multiple choice examination. Those who pass are awarded the title 'Italian Wine Ambassador' (IWA). 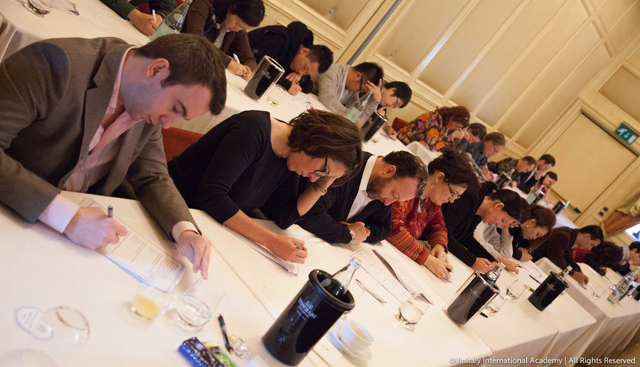 Those who achieve a 90/100 score are invited to take a separate written examination to become an 'Italian Wine Expert' (IWE). Was the course difficult? Yes and no, but the syllabus certainly caught a lot of students out. Most of us expected topics on wine styles, regions, climate and so on, on which we might claim to have some prior knowledge, but in fact it was about the native grape varieties in Italy, focusing on classification and identification (ampelology), grape groups and families—unfamiliar territory for most of us. Take Malvasia as an example. We needed to know that there are 17 Malvasias in Italy. Most thought they are all from the same family (as they are often called Malvasia something) but in fact most of them are genetically distinct. Malvasia Bianca is mainly from the south (Puglia, Campania, Sicily) while Malvasia Bianca Lunga is from the centre (Tuscany, Umbria). And Malvasia is an easier one already! Those who read the book and prepared properly for the course probably passed but not those who didn’t take it seriously. Was the syllabus relevant? This was discussed among the students over and over during the course...and even more so after the examination when we cleared the bar's entire stock of Prosecco because by then we all needed a comfort drink desperately! 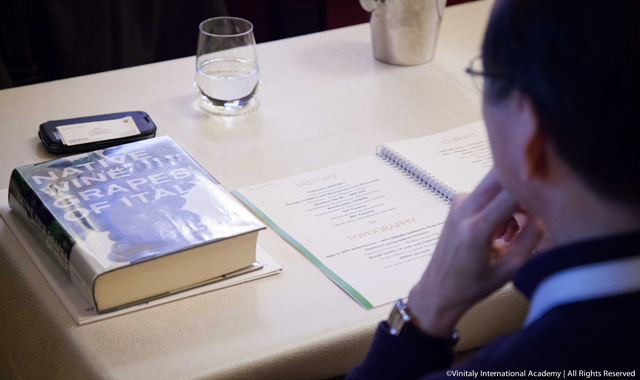 Most of us felt the information, while interesting, was too technical and niche to be part of a broad-scope Italian wine course whose aim is to turn out ambassadors who can charm general consumers into enjoying Italian wine without expecting them to differentiate Trebbiano Abruzzesse from Trebbiano Romagnolo. I was definitely on this side of the argument (after all I was the one who ordered the first bottle, and subsequently, all the Proseccos). And most in the wine trade back in Hong Kong whom I talked to agreed. Yet, three months on and having had some time to reflect on the course's syllabus, its objectives and Stevie’s intent, I have now had second thoughts. Italy has over 500 documented varieties and probably a lot more in reality. It is these indigenous grape varieties that makes Italian wine unique and what it is. 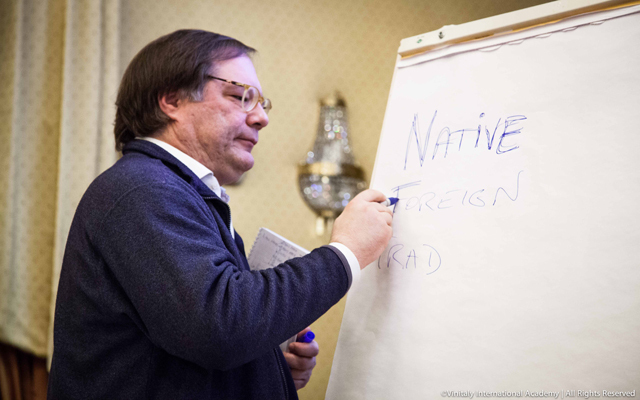 Unfortunately a lot of native varieties have been uprooted because of low yield, disease, or, in the 70s, a perceived need to replant with more fashionable varieties (Cabernet Sauvignon, Merlot, Syrah) because of export market demand. A typical example is Timorasso, once a highly prized variety in Piedmont. Most vineyards ware replaced by the more productive Cortese after phylloxera killed many of the Timorasso vines. It was only recently that Timorasso was rediscovered, and plantings have expanded from only 6 ha to now some 20 ha in the region. Thanks to enthusiastic winemakers many of Italy's 'forgotten' native grapes are making a comeback. Yes, it is true that general consumers do not need to know about ampelology and grape families. 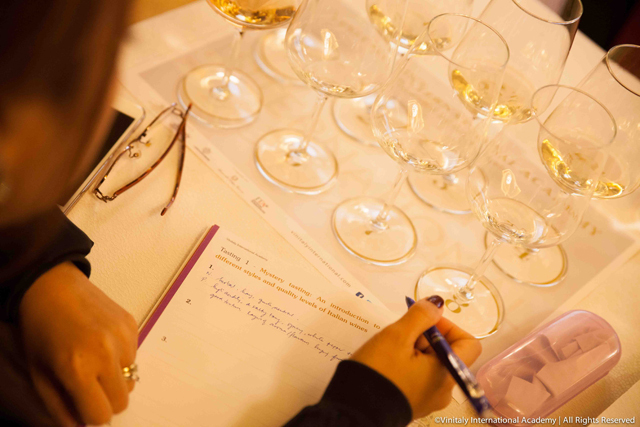 But to become a true Italian Wine Ambassador/Expert, one must understand the nuances and the details and what makes Italian wine different and unique. The point is that one should not just blindly pass the information along word for word to the audience—in fact this will be a disaster as it only demonstrates that the person does not know how to communicate. The power comes from having a great depth of knowledge and being able to draw upon it with ease when the situation demands it. I believe a true ambassador of any kind must have these attributes: to have the depth of knowledge to answer almost any question, and to be comfortable, confident and competent enough to impart knowledge and arouse interest in anyone at any level without intimidating them, in other words to talk to them at their comfort level of knowledge. My point is that I now understand and appreciate what Stevie is trying to achieve and I think it is a sensible way forward for Italian wine—to train a small team of true Italian Ambassadors/Experts to advocate Italian wine. However, given that only 26 out of 55 professionals from around the world achieved the Italian Wine Ambassadors status and none at all the Expert status this time around, VIA may want to consider an intermediate course to bridge the gap between aspiring and ready ambassadors. I was one of the lucky 26 who passed, but I still don’t think I have enough knowledge yet. I love indigenous grapes in all countries, and in Italy's case I am especially impressed by those from Piedmont and Mt Etna. ‘Native Wine Grapes of Italy’ will be my summer read and my thanks go to Stevie and Ian for giving me the opportunity. 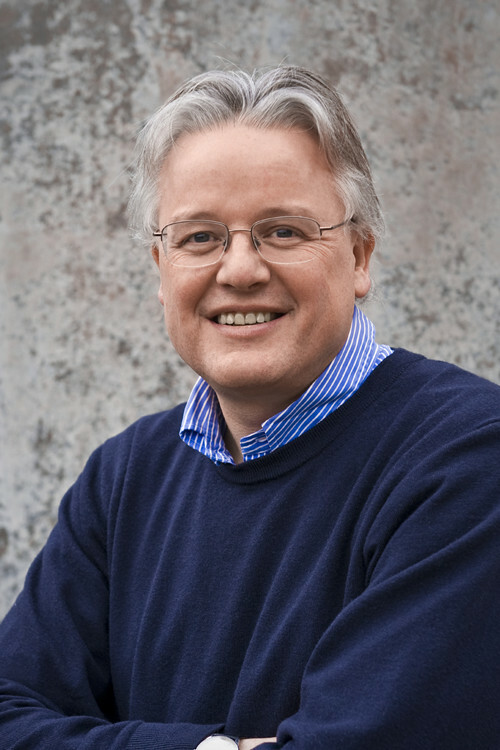 Most wine lovers know of Andrew Caillard as a Master of Wine, co-founder of Langton's Fine Wine Auctions, Australian wine expert, wine critic ... and producer of the documentary ‘Red Obsession’, but not too many know that he also has his own wine label. It was exactly because of this curiosity that I attended BBR's recent vertical tasting of his Mataro from Barossa to see what style of wine such a high profile expert had to offer. and, even better, blend it with Shiraz and Grenache to produce a Southern Rhone style wine now famously called GSM. At the tasting, what caught my eye (or my palate) was not the wine itself but the labels. Lined up on the table the six wines (five Mataro of different vintages and one Shiraz) all had different paintings as labels but clearly of the same style, with gardens, flowers and birds as the main elements. Bobby, Andrew's wife, told me that indeed the labels were all hand-painted by Andrew himself during their holidays (hence the theme of bushes and nature). When they bottled the 2008 vintage, their first wine, the bottle had no label and the wine had no name. After brainstorming for all possibilities they finally settled for using his paintings and their names as the brand—and they were proud of it. The production was only 120 dozen but, with packaging and name confirmed, the time had come to start selling the wine. Since Andrew had a busy schedule, the marketing responsibilities fell on Bobby. She affectionately jokes that Caillard Wine is pretty much "Andrew’s dream and Bobby’s reality." Ask Andrew why he chose to produce a single Mataro rather than the more popular GSM and he will explain that he got the inspiration from the Penfolds book, ‘The Rewards of Patience’, of which he has written five editions in the past 20 years. For him, producing his own label is a logical progression in his career. It is an intellectual project—one requiring concentration and thinking—focused on how to adapt to the Australian climate and produce an elegant wine. He further illustrated this with a change in the label painting from gardens and bushes to a bird, a peacock to be exact, for the 2011 vintage because ‘peacock’s tail’ is also a tasting term denoting the length of flavour. His 2012 and 2013 labels were all paintings of long-tailed birds. Turning to the wines themselves, they are certainly elegant. Mourvèdre is naturally high in acidity and a late ripener so is particularly well suited the hot Barossa climate. Ageing in only 10% of new oak adds complexity without imparting heaviness to the wine. The new 2013 vintage is fruity with a hint of herbal notes typical of Mourvèdre, while the 2009 vintage has intense marmite. Most attendees preferred either the older vintages or the younger ones but, for me, my preference was for the 2010, which has a fine balance between fruitiness and savouriness. Again, there is no absolute right or wrong in wine! Andrew does not own any vineyards but instead sources fruit from reputable growers. So he can be selective. Caillard Wine has its own winemaker but Andrew is still hands-on in the blending process and tastes every single barrel before making the decisions. After seven years of business the winery still remains pretty much a micro-producer, turning out just 400 dozen Mataro and 200 dozen Shiraz each year. Of the five Mataros we tasted only three are available in the Hong Kong market. With his profile and limited production, I was pleasantly surprised that the wine retails here at just over $350 per bottle. Watch out for Andrew’s latest wine, the Caillard Coonawarra Cabernet Sauvignon "Reynell Selection" 2015, which pays homage to his great great grandfather, Carew Reynell, who fought and died in the Gallipoli campaign in Turkey during the First World War and who was a descendant of John Reynell, a pioneer in planting Cabernet Sauvignon in Reynella in South Australia back in 1838 (now the famous Reynell clone). I am looking forward to trying the wine to see how Andrew expresses it to fit Reynell’s legacy. Caillard Wine is available at Berry Bros & Rudd.